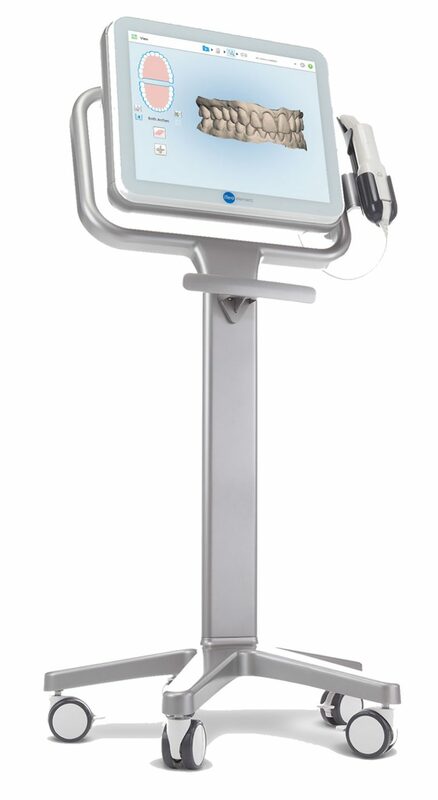 The iTero digital scanner system is three-dimensional dentistry. With iTero, Dr. Rizkallah is able to have a highly accurate digital impression of your mouth, while eliminating the uncomfortable inconvenience and inaccuracy of impression paste. If you have experienced the inconvenience of conventional impressions, you will be able to know how uncomfortable the process is. The impression paste is messy, has an extremely unpleasant taste and, in many patients, causes nausea. With iTero technology, these inconveniences are eliminated. The device used is small. Once your dentist begins scanning, the operation can be stopped and resumed as many times as necessary if you wish. iTero’s digital scanning technology creates an exact copy of what’s in your mouth. The results obtained make it possible to create an appliance that will be adjusted to your mouth. The clincheck software allows you to show a simulation of the gradual movement planned for your treatment.